Roy Straightley: An aging professor of Latin who worries the new school reforms will force him into retirement before he completes his 100th term of teaching. Snyde: A secret intruder who's invaded the hallowed halls of St. Oswald's in order to destroy the institution for its stagnant exclusivity. Pat Bishop: The genial, compassionate Second Head who's aces at managing students but terrible at managing scandals. The New Head: The progressive headmaster who's more focused on the school's reputation and cost-cutting measures than the students themselves. Colin Knight: A resentful school outcast who becomes an unwitting pawn in Snyde's plots against the school. Marlene: The mother of a former student, she now works as St. Oswald's ultra-competent receptionist. Mr. Keane: A new teacher to St. Oswald's, he hopes his adventures in teaching will give him plenty of material for a novel he's writing. Ms. Dare: Another new teacher who displays a remarkable gift for dealing with students, but tries to stay out of the increasingly toxic office politics. Leon: A student at St. Oswald's 15 years ago whom Snyde befriended while disguised as a fellow student. 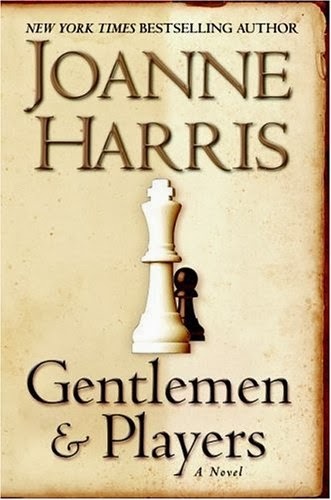 I was a little bit afraid to reread Gentleman and Players for my annual Re-Read Rollout. When I first read this way, way back in February 2010, it utterly destroyed me - but I was so determined at the time to be a "romance-only blog" that I didn't review it. But this book was so good. Almost too good - I was afraid to re-read it because I was worried the experience of reading it a second time wouldn't measure up to the first. That I'd suddenly notice all these flaws and mistakes and ruin my memory of that One Perfect Read. Because Gentleman and Players was one of those Perfect Reads. I love a lot of books, but Perfect Reads are rare. The type of book I would grab if my house was on fire. The type of book that keeps me voraciously reading through my TBR in order to fine another one like it. Gentleman and Players takes place at St. Oswald's Grammar School for Boys, a posh private school for the best and brightest of England's young male elite - provided their parents can afford six thousand pounds a year for tuition. It is a school steeped in prestige and tradition. For Roy Straightley, a Latin professor at St. Oswald's, he could do with a little more tradition. Sixty-five years old and a term away from his Century (his 100th term teaching at St. Oswald's), he continually frustrates St. Oswald's administration by refusing to adapt to their educational reforms. He relies on ancient chalkboards, dusty black robes, and common sense when dealing with his pupils, even though he knows the more progressive Head and his cronies are losing patience with him. However, for a mysterious figure known simply as Snyde, St. Oswald's relies far too much on tradition. Snyde's father worked as a porter and groundskeeper for St. Oswald's - a porter whose termination was completely hushed up by the powerful administration. After spending a childhood living in St. Oswald's shadow, longing after the privileged lifestyle of its entitled students, Snyde has returned, disguised as a teacher, to destroy the corrupt and stagnant school from the inside out. I loved Gentleman and Players because the story is all about conflict - good versus evil, progress versus tradition, hands-on educators versus detached administrators, rich versus poor, parents versus teachers, Straightley versus Snyde. There is so much detail and drama and scandal - and yet very little direct confrontation in the novel. Rather, most of the conflict involves the points of view of Straightley and Snyde. Straightley is an Old Boy who has dedicated the greater part of his life to the school, and from him we get a highly entertaining, satirical look into the politics of private school administration and the private lives of teachers. While Straightley isn't blind to St. Oswald's imperfections, nor to the emptiness of the parts of his life that don't involve the school, he is fiercely loyal to it and its boys. However, Straightley is mainly an observer. It is Snyde who sets most of the plot in motion - oftentimes by using St. Oswald's traditions against itself and brewing dissent amidst the envious townies, the dissatisfied parents, and the disgruntled students of St. Oswald's. Snyde exposes and exploits the hidden resentments over class differences, favouritism, money, and privilege that have been weakening the "impervious" foundations of the school for generations. At the same time, we get frequent flashbacks to the last year Snyde's father was porter, the year the teenaged Snyde decided to impersonate a student and experience the St. Oswald's experience firsthand - with disastrous results. So did it hold up upon re-reading? Yes indeed. Perception plays a very large part in my enjoyment of Gentleman and Players - the characters' points of view and their respective blind spots thanks to their own privileges and prejudices, the way outsiders perceive St. Oswald's versus the way St. Oswald's fights to be perceived, and how a few carefully-revealed secrets can change one's perception of several major characters. Without going into too much detail, there is a delightful twist at the end of the novel that added an extra layer of enjoyment to this particular reread. Simply put, Gentlemen and Players is a fiendishly clever, insightful, and entertaining novel about education, revenge, and privilege.